London is full of them. Top restaurants, is what I mean. I have also noticed, some top sites are copying my ORIGINAL IDEA of top places to eat. Just remember who is the top authority in restaurant lists. Thank you. Marylebone is at the interjection of the A40 and the suburbs and the entrance to London's West End. The Shopping high street of Oxford Street and Regents Park are both close by, and Marylebone offers a place to relax but also some high end dining too. The list below covers Edgware Road, north of Oxford Street and a bit of Noho too. I wasn't struggling for the list, more so, places I have been to. Riding House Cafe: Nice vibes and a great place to go as a group. Hire out one of the rooms downstairs and then enjoy a cocktail back up top. Maroush Express: Lebanese food at its best and quickest too. The wraps here are amazing and before you devour them, have some of their hummous and taboulleh. Pachamama: Good Peruvian food in London. Classic dishes done well and great cocktails to match. I'm upset I haven't been back. ​Best dish - I'm going for the chicken wings- fall of the BONE amazing! My new neighbourhood and home, Enfield. What do you have for me? Nelitos: Good service, nice house wine with hearty and filling food. You got to love the outskirts of London. There is more out here and Nelitos provide good quality for all. 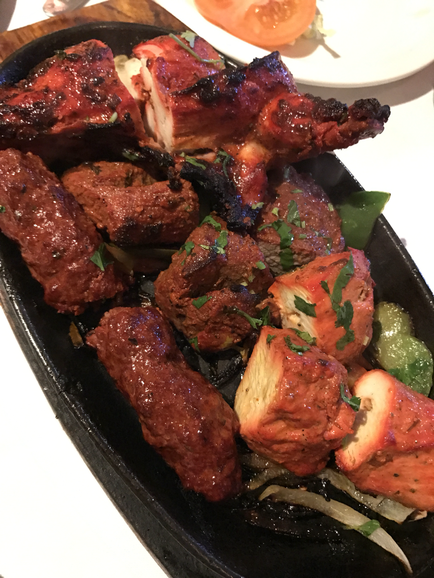 Saathi: Good food, caters for all with beef on the menu, Saathi represents good Indian food at a reasonable price with generous portions too. The Meeting: Thai food just off the A10, I am pleased with the food so far. 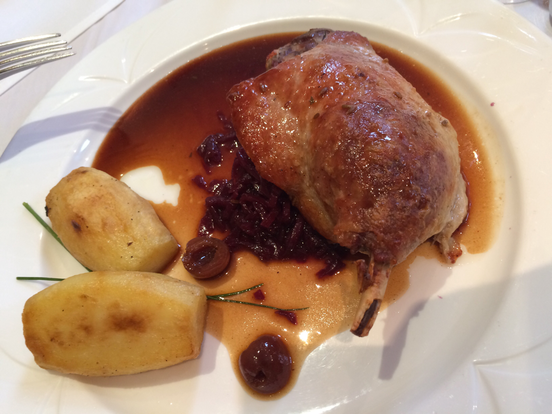 Hopefully, the next few restaurants in Enfield Town continue to match the quality shown by The Meeting. Aksular Restaurant: Turkish restaurant, which is friendly and welcoming, dips on arrival and good kebab too. The adana is a must and goes well for a quick bite to eat. The Beautiful South: We were well fed, looked after and it was baby friendly. No complaints from me. Not the best restaurant ever, but one I would recommend if people ventured up to Enfield for dinner. Add to this, the growing delivery options and McDs on UberEATS too, it means I can be lazy and still get some good food too. Ada Restaurant and Mr. Chippy get the thumbs up from me. Home is where the heart is and my heart is intrinsically linked to my belly and mouth. So it is important that I have good food locally. AND I DO! I used to live in Crouch End. Now that I have moved, I do miss it very much. 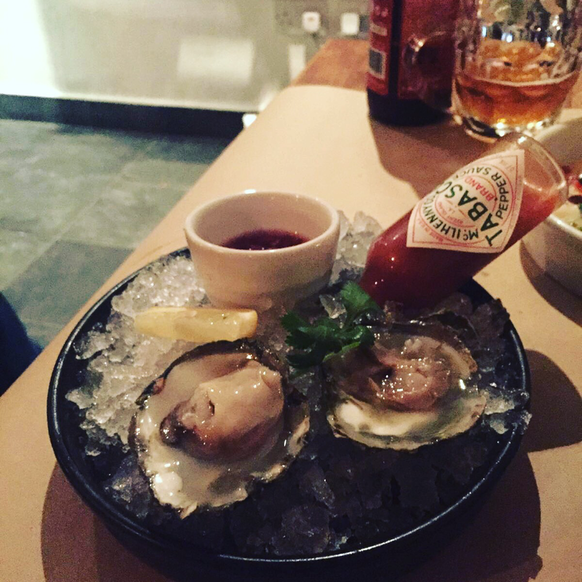 Nickel – small plates that are ideal for sharing in this lively and busy bar/restaurant on Crouch Hill. Think local produce, Tapas style. Sit on the bar, or window seat and watch the world go by. The food here is very tasty and with a seasonal menu, it means you have to pop back. Sacro Cuore – Good wood-fired pizza made fresh with good ingredients. Smoked mozzarella on any pizza here is a winner and a must. Banners – the place where you will have to wait if you want breakfast, especially on a Sunday. Book in advance to make sure you can get a seat. Also ideal for brunch. Some classics here are their waffle breakfast with huge hash browns and maple syrup. Haberdashery – think banners but a bit more rustic and more for the families in town. Go here for freshly baked cakes too. La Bota AND Bar Estaban – Some more Tapas. Two in fact. These two restaurants are at different ends of the price chain, with the former a slightly cheaper restaurant. Bar Esteban lives up to its name and has the bar vibe like a Barrifina. La Bota is much more sit down and relax for the evening. Both are good options and highlight the growing choice in Crouch End. Blue Legume: great for breakfast too and special nights with Paella. Irvine- purely based on a a colleagues recommendation. The locals love the food here and i will miss it greatly. Deliveroo, please please please; do expand your boundaries and zones. West London is lovely (and Pricey). As always it depends where you can afford, recently, Kings Road and Chelsea are being dominated by restaurant chains. Some of these include Busaba Eathai, Wagamama and a few more. I like these places but luckily have been to a few other places and tasted some great food. Please see my Top 5 below. The Painted Heron: A lovely restaurant on Cheyne Walk, where Mick Jagger used to live. 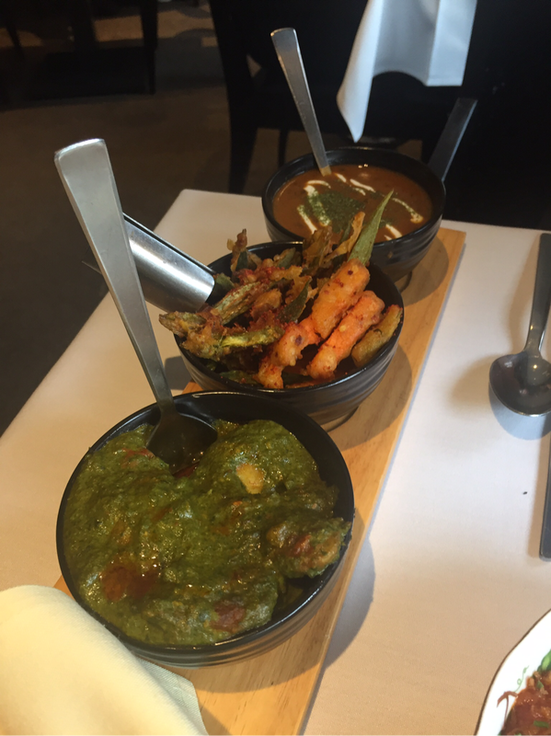 Quality Indian Food by Chef Yogesh Datta, with great service and lots of highlights, from the Main course to Dessert. Worlds End Market: Meat or Fish in high quality in this old pub. A good experience within a good venue. The drinks menu is also up there and you could easily stay after dinner to soak up the atmosphere. Vicino Restaurant: Homemade Italian style cooking, with a signature dish of Lobster Linguine. Garlic is there in abundance and it is all about simple cooking done well. 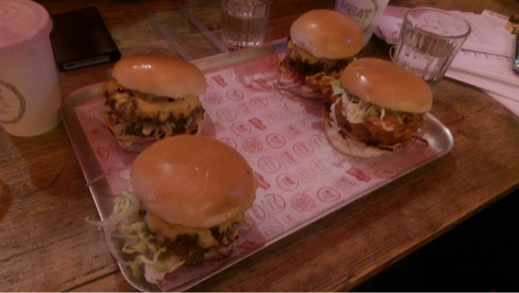 Big Easy: The Home of the American BBQ in London and the UK. This site is one of the originals and brings you big platters of seafood or smoked meats. The lunchtime deals are also well worth a try for good value. 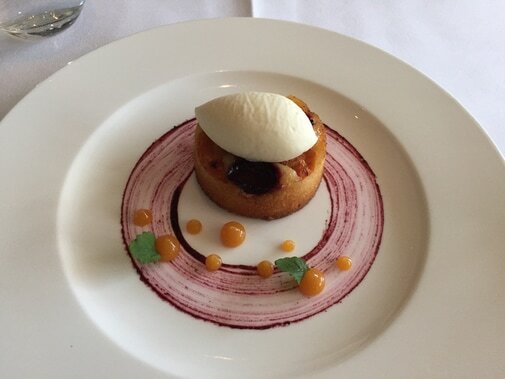 Restaurant Gordon Ramsay: My first time experiencing a 3 star Michelin restaurant and it was good. I am not sure if it is worth the price, but I didn’t pay. Go for the full service and being treated like a mini-celebrity. The food isn’t too bad either. Good options and choices in the area. The radius was slightly extended and a notable mention for The Beaumont which was the venue for my friends’ wedding reception. Now, I just need to try and find a place to live around there. 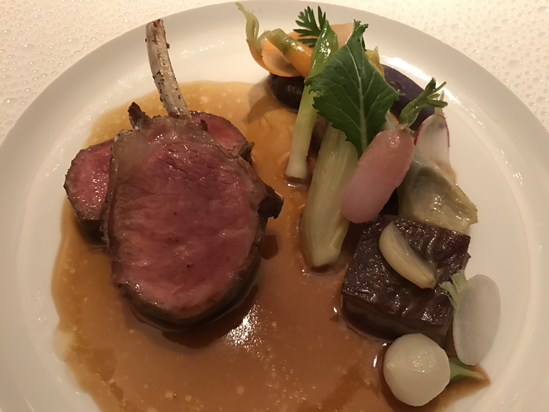 Once dubbed as the foodie place in London by yours truly, Fitzrovia is a happy place for all foodies. Continuing where Soho finishes, Fitzrovia and especially Charlotte Street provide a variety of restaurants and fast food joints for all lovers of food. The definition of Fitzrovia is quite loose here, so I have spread out a bit, towards Tottenham Court Road and Oxford Street, but sort of within the area. ​Check out the 5 below. Gaucho: STEAK, a classic that has held on to its title as a destination for Steak. 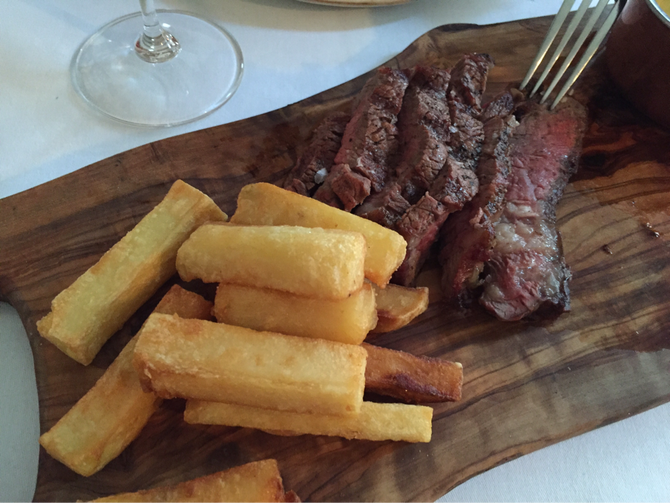 With competition from Hawksmoor and many more, Gaucho continues to be a popular choice for me and many others in London. ​Chiltern Firehouse: The go-to restaurant for 2015. AND still a special place. Great food with rich flavours in most of the dishes. Think elegance and opulence. Oh London, thank you so much.These great places can hurt and empty your wallets, but for the most part, you get what you pay for. Fitzrovia caters to the media with its fancy restaurants and bars. Good quality and a destination in town for all foodies., this really is the place to be. Stoke Newington is or WAS the latest so-called trendy place. I live close by, therefore I am trendy. YOU GET ME? This long stretch of road is full of restaurants, not many or ANY chains on the block but a lot of feel-good places. Have a look at TripAdvisor and you will see the conundrum. This Top 5 was a bit difficult for me on my own, so I enlisted the help of a few friends. Thanks Oran. Stokey Bears – Of course there are going to be Burgers. 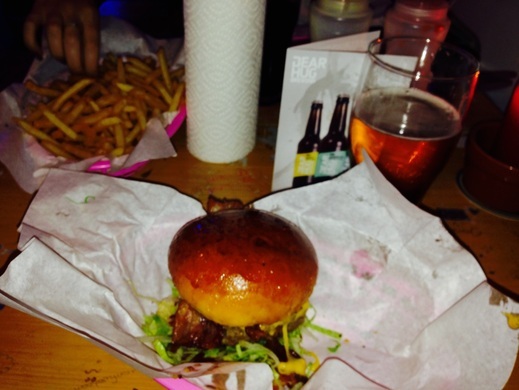 Award-winning Burger Bear got his first permanent residence in Stoke Newington. A good burger that unfortunately had to have a finish. I enjoyed every bite. Rasa Travacone: A different take on the curry, but very welcome. South Indian flavours which embrace their heritage but also their colonial ties too. 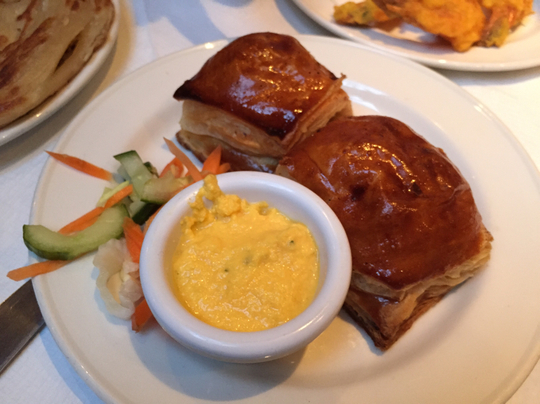 Lamb puff pastry, battered prawns and dry meat some great dishes. L’antica Pizzeria Da Michele: From the home of Pizza and the originals. 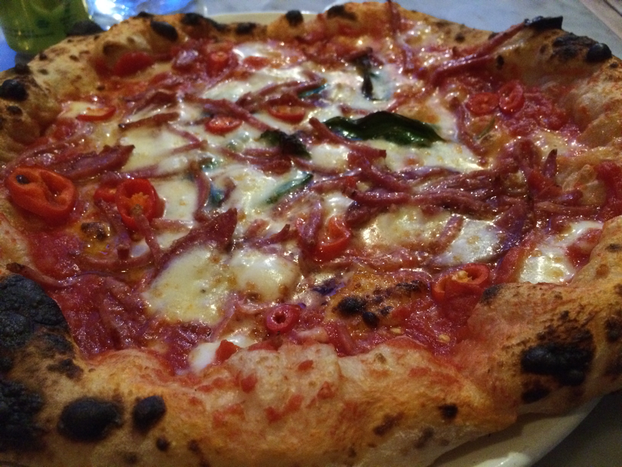 L’Antica bring their Simple Pizza from Naples to the delight of Londoners. Yeni Umut 2000: Great value and great quality, good meat, no doner kebab. The meat was cooked perfectly on top of the charcoal, the charred bits, the smokiness and the crisp bites of tender meat all went down so easily. Succulent, juicy and so delicious, the food tasted really fresh and not oily or fatty at all. The locals love the food and the food is for the locals. People are more than happy to travel for good food. When the food is quality than this doesn’t become an issue. Also, when you tell people you are going to Stoke Newington, your cool factor immediately goes up. Did I tell you that I love the food in London. This last week alone, London has three restaurants featured in the San Pellegrino World's Best 50 restaurant list; these include The Ledbury, Clove Club and Dinner by Heston. Not Bad. So now onto focusing on a new area of London: Angel/Islington. ​The area that gives us the third longest escalator in Europe at 60m as well as having more restaurants than days of the year- narrowing this list to five will be difficult. Prawn on the Lawn - Fresh seafood in the heart of London. Ceviche, Crab, Mussels and Lobster. Rick Toogood and his wife Katie aim is to bring sustainable fresh seafood to Londoners and definitely succeed. A small restaurant so book early. Ottolenghi - I have never had the pleasure of eating in, however the queue inside and out is indication of its quality. Getting there take away boxes full of vibrant salads with amazing flavours and ingredients mean you won't miss out. This is up there across London for good food. Akari - Japanese food in a pub. The venue can be deceiving but take a peek inside and look at the food and you will get quality. Black cod and great sushi, what more do you want. Located on Essex Road, Akari is a popular choice for the locals and i can see why. MEATliqourN1 - a burger joint for sure. One of the originals, the MEATliqour crew moved closer to me and are on Upper street, hence the N1. Great burgers, such as the Dead Hippie, a great Chicken burger and even a Halloumi burger go great with their amazing cocktails. WINNING.